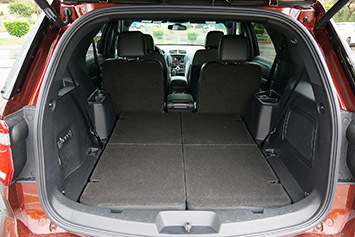 Autoblog rating for the Ford Explorer is not available. Please check back later. I was still young and impressionable when Jurassic Park hit the big screen, and that movie forever imprinted the Ford Explorer in my mind. You remember the scene, but I'll describe it anyway: It's dark, raining and there's no power. The off-screen footsteps of a tyrannosaurus send shockwaves through the standing water in a plastic cup and the rain-soaked muddy roads. Seconds later, the toothy end of the movie's biggest predator crushes through the roof of a highligher-green-and-yellow Ford Explorer, causing all manner of mayhem to the SUV's occupants inside. 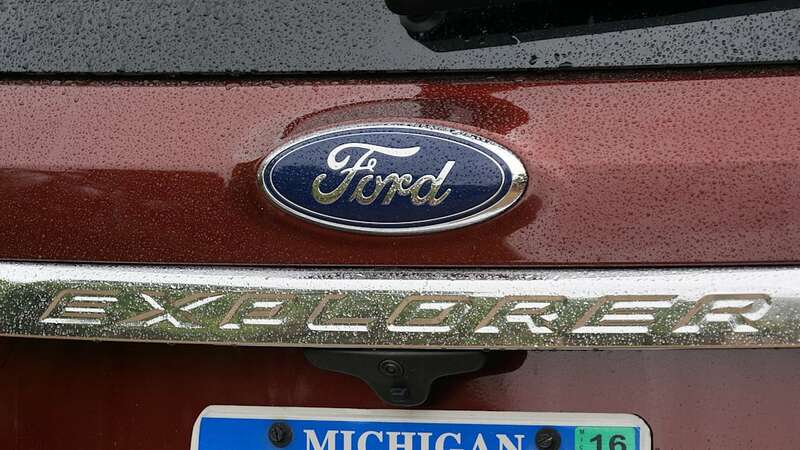 It's not lost on me that the Ford Explorer used in the movie is, in reality, a dinosaur itself. When the seminal Explorer hit the scene in 1991 it was based on the guts of the Ranger pickup truck, which was no spring chicken itself. 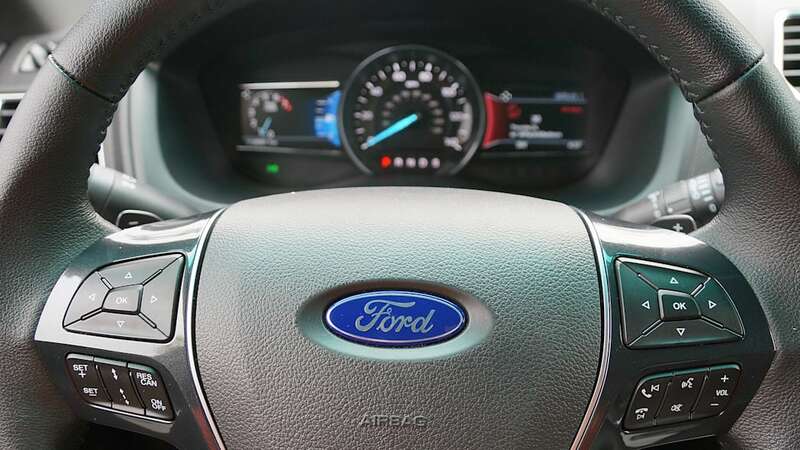 Ford's first real foray into the then-burgeoning SUV marketplace was meant to compete against vehicles like the Jeep Cherokee and Chevy Blazer, along with Japanese models such as the Nissan Pathfinder and Toyota 4Runner. In those early days, none of these vehicles were sold based on the merits of their car-like ride and handling or superior fuel economy. Nowadays, the discerning car shopper wants the looks of an off-road-ready SUV, but the inherent compromises and need for any serious rock-crawling capability faded away years ago. 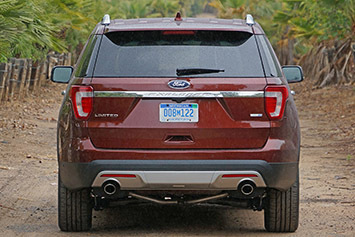 The current Ford Explorer is a prime example of this successful visual hypocrisy, with its SUV-like styling listed as the number-one reason for buying on customer surveys. 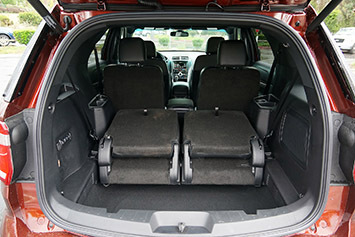 SUV-like styling is one thing, SUV-like guts are another. 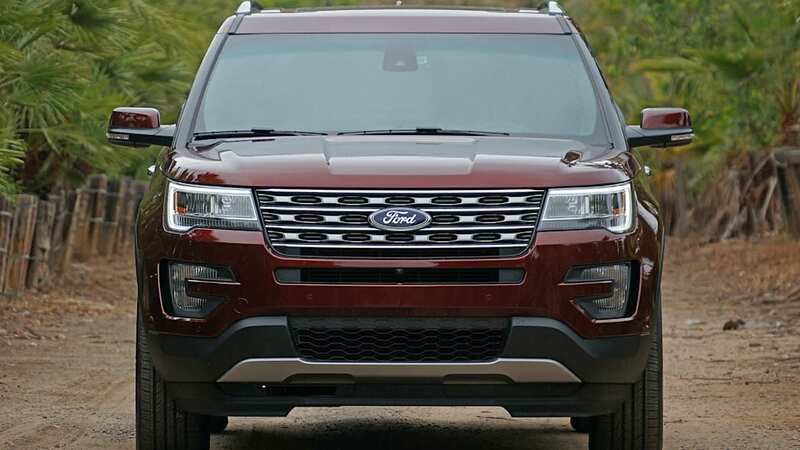 In 2011 the Explorer went from its traditional truck-based chassis to Ford's D4 platform, based loosely on the Taurus and shared with the Flex. 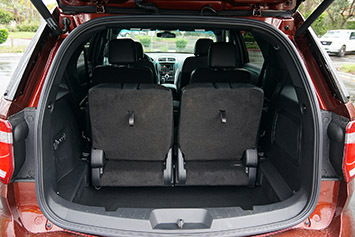 As with the rest of the unibody crossover world, that means the current Explorer offers an excellent ride, the higher seating position that buyers want, and a useful third row for growing families. None of that inherent family-car goodness goes away for 2016. 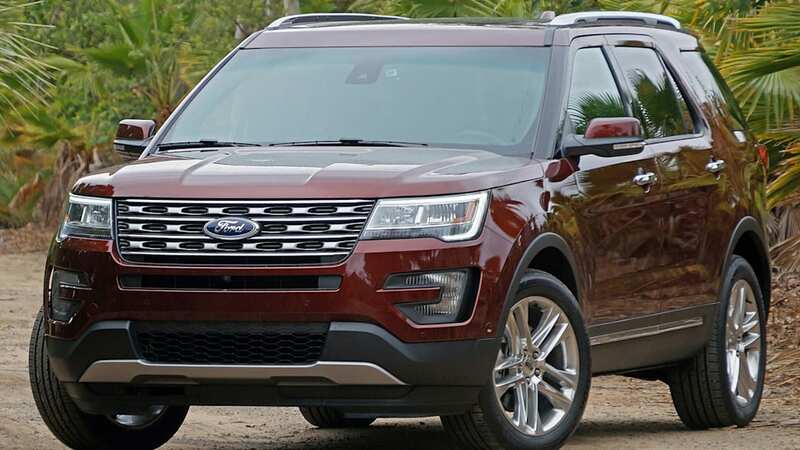 With class-leading sales already in the bag, Ford hopes its latest Explorer will attract new buyers due to the availability of a 2.3-liter EcoBoost four-cylinder engine and an upper-crust Platinum trim level. 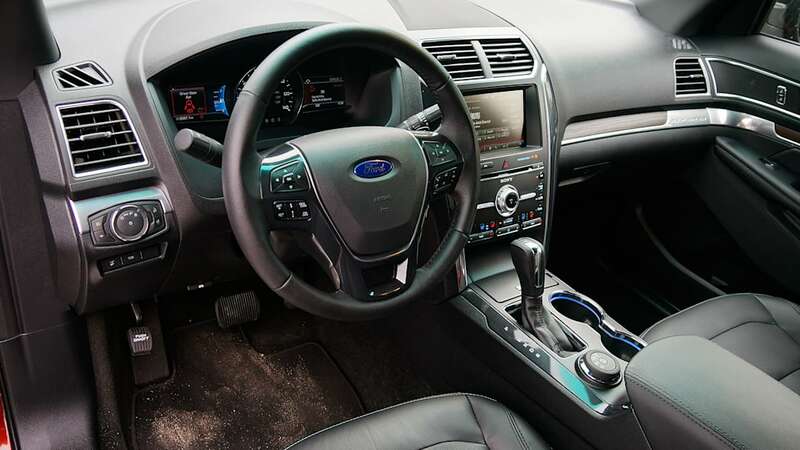 Based on some time sitting inside and inspecting the high-content Platinum model (albeit without a drive in this trim level) I believe Ford's claim that this is most luxurious vehicle ever to wear a Blue Oval. Only not all its ovals inside are blue. 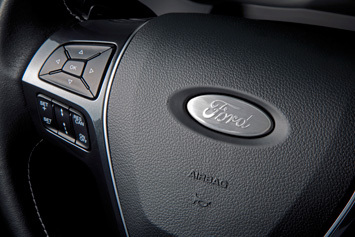 For the first time in history, the Ford Explorer Platinum boasts a machined aluminum emblem on its steering wheel. 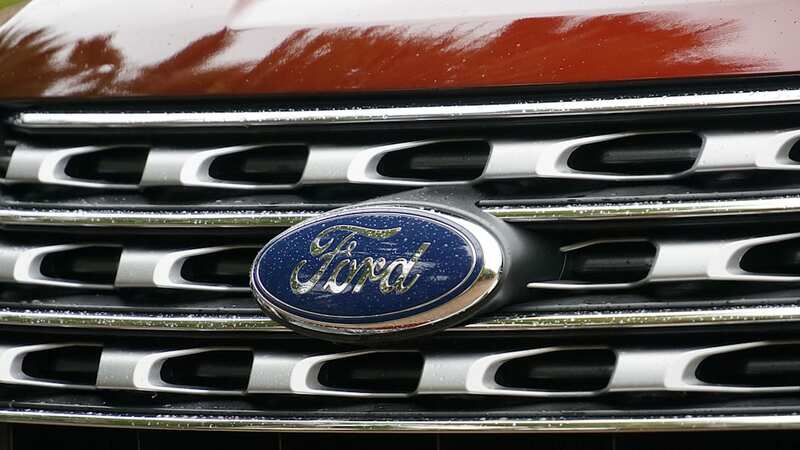 It may not sound like a big deal, but with more than a hundred years of marketing wrapped up into its logo, Ford is cautious to depart from tradition. 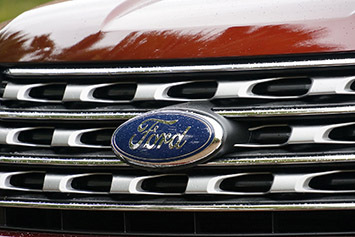 (Recall that the F-150 Raptor needed Ford Family approval to run without an oval on the grille). The metallic logo looks appropriate in the Platinum, but don't expect the monotone tinge to spread across the lineup anytime soon. 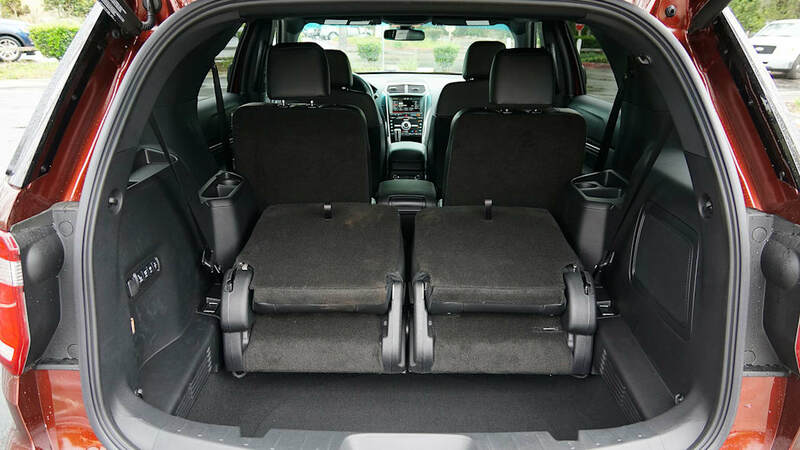 Elsewhere inside the 2016 Explorer Platinum, it's easy to see that Ford engineers sweat the details to shoot for entry-level luxury crossovers like the GMC Acadia Denali and Jeep Grand Cherokee Summit. 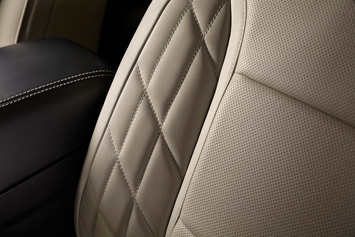 Leather covers most every surface from the seats to the dash cover to the door panels, which are stitched up in a neat diamond pattern. 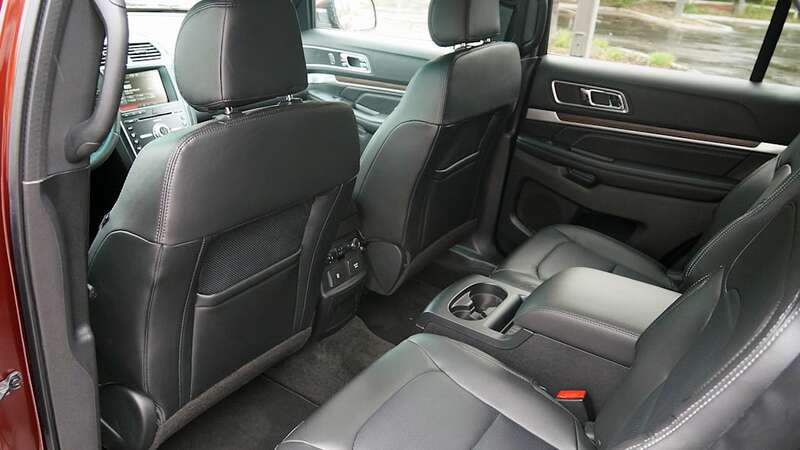 Such intriguing tidbits abound in the Platinum's cabin, and it does indeed take the Explorer a class above its predecessor. 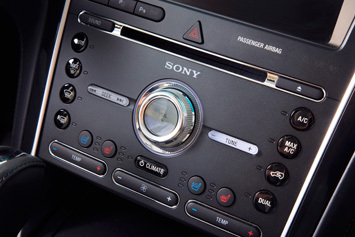 The Sony sound system in the Explorer Platinum is also impressive. Not only does the system's overall Wattage increase from 390 to 500, but the Japanese electronics giant sent in its very best engineer to fine-tune the Platinum's high-end audio system to mimic the sound of the world's best concert halls. Listening to a pre-selected set of songs with the custom surround settings both on and off, the difference should please audiophiles, if not put your mind's eye inside Lincoln Center. 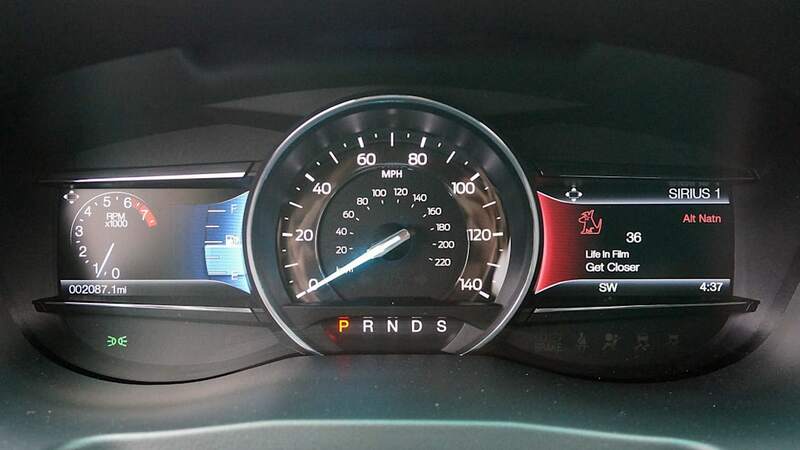 Besides the top-rung trim level, the other big bit of news for 2016 is the aforementioned EcoBoost engine. 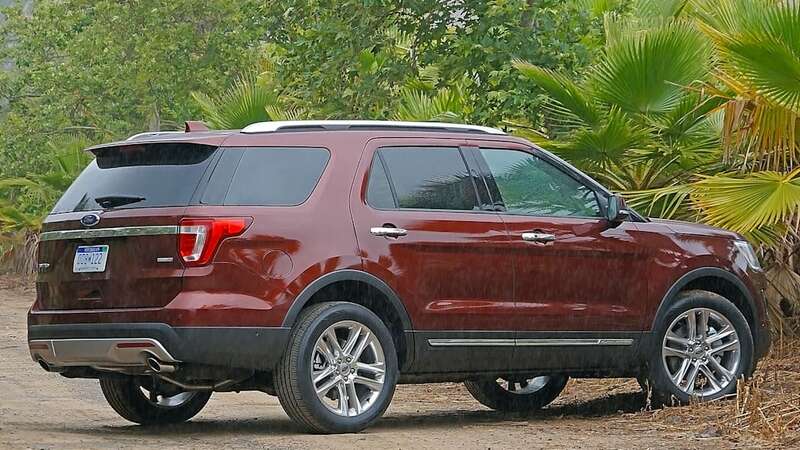 The new 2.3 replaces the previous 2.0-liter turbo, which moved the Explorer well enough for the everyday driving many owners put their commuters through. It wasn't powerful enough, though, to push its ponies to all four wheels, or tow a meaningful load, which kept it out of a large swath of buyers' order sheets. 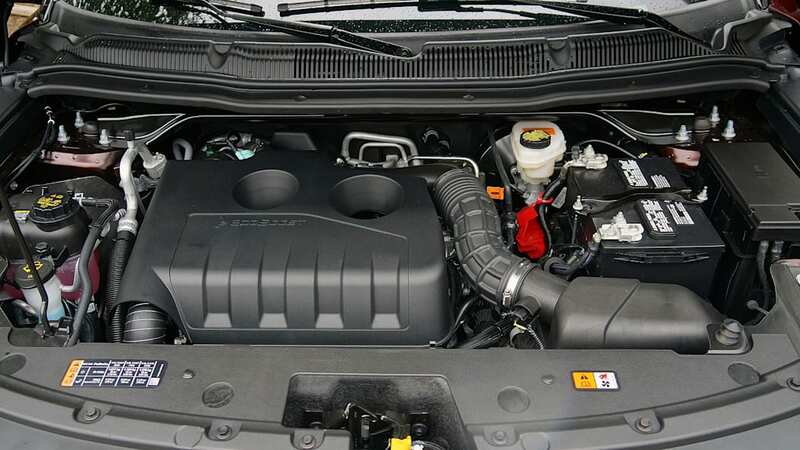 That power deficiency no longer exists in 2016, thanks to a larger 2.3-liter EcoBoost engine with 280 horsepower and 310 pound-feet of torque – improvements of 40 in both categories. 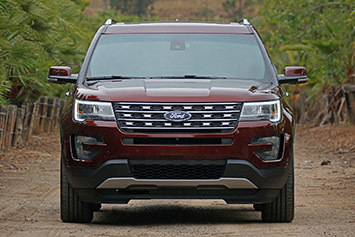 While its block and basic design are shared with the engine in the Ford Mustang, the Explorer's final tuning is specific to the needs of an SUV, with greater mid-range punch and more appropriate throttle mapping that puts the three-row 'ute into the meat of its torque curve early and often. 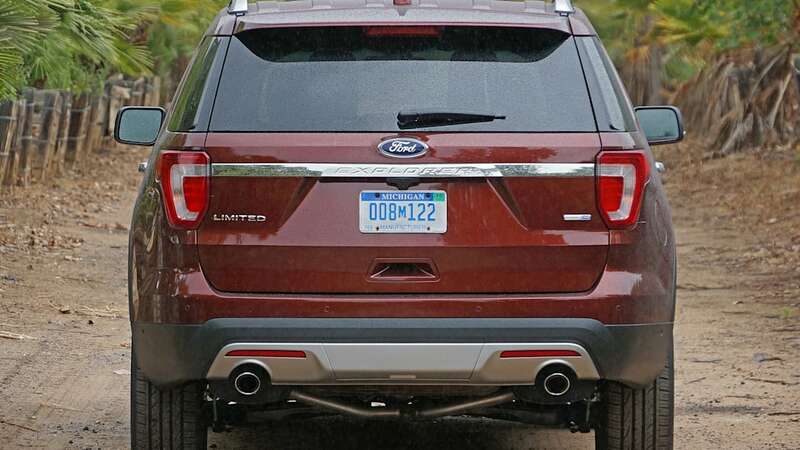 Four-wheel-drive is now offered with the four-cylinder engine, as is a towing package that allows Explorers with the 2.3-liter engine to pull as much as 3,000 pounds when properly equipped. 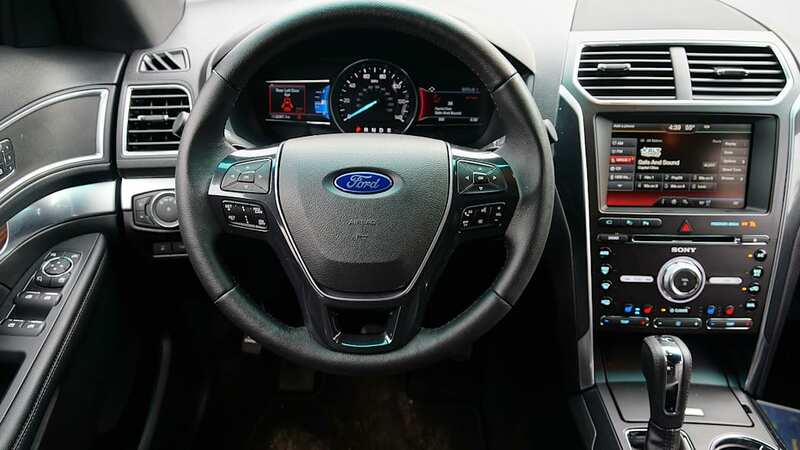 Driving the new 2.3 EcoBoost back-to-back with the standard 3.5-liter V6, it's unlikely most consumers will notice a difference between the two in normal use. 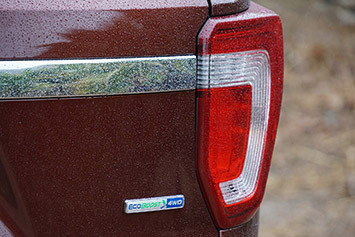 For the record, the EPA rates the 2.3-liter Explorer at 19 miles per gallon in the city and 28 highway with standard front-wheel drive, or 18/26 with all-wheel drive, improvements of as much as four mpg (highway/FWD) over the 3.5-liter V6. As with other such engines, though, I have to wonder if its on-paper fuel economy will live up to real-world use. 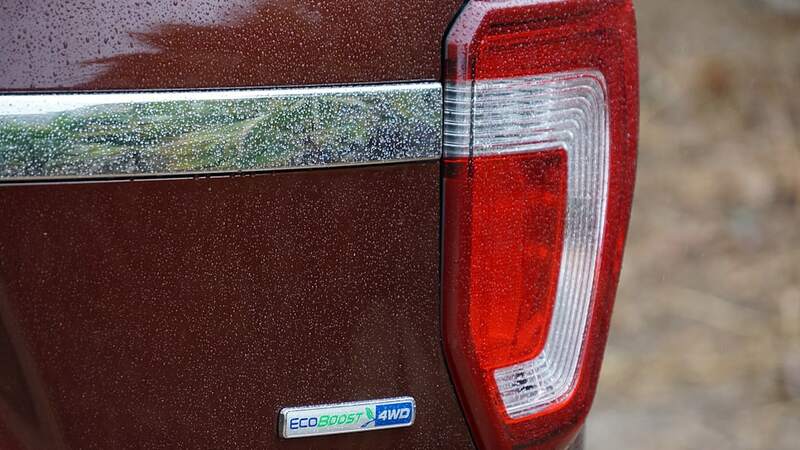 What's more, the 2.3-liter EcoBoost is a $995 option, and even the non-turbo V6 can tow as much as 5,000 pounds. 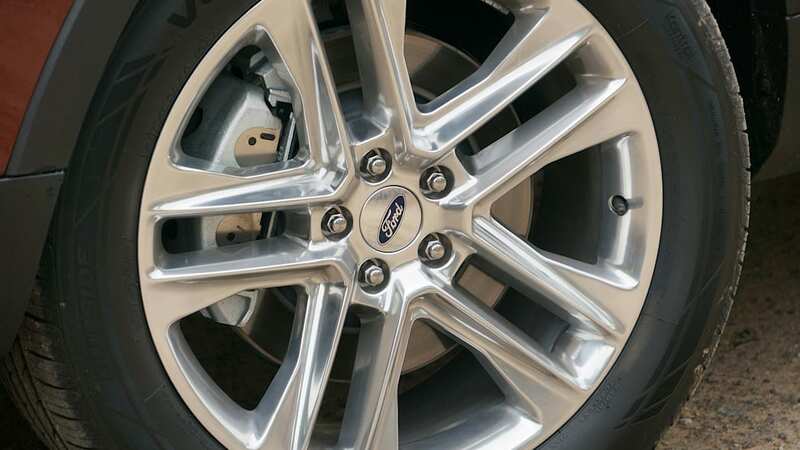 The decision to option up to the torquier EcoBoost four or stick with the base V6 likely depends on your individual driving habits. 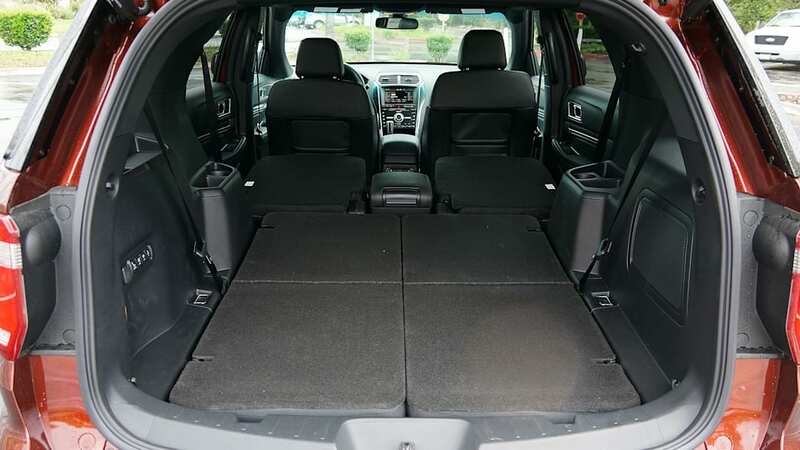 A four-mpg improvement may pay itself off over the course of a few years if you drive enough miles, and if you don't need to tow more than a small camper, trailer, snowmobile, jet ski or similar. 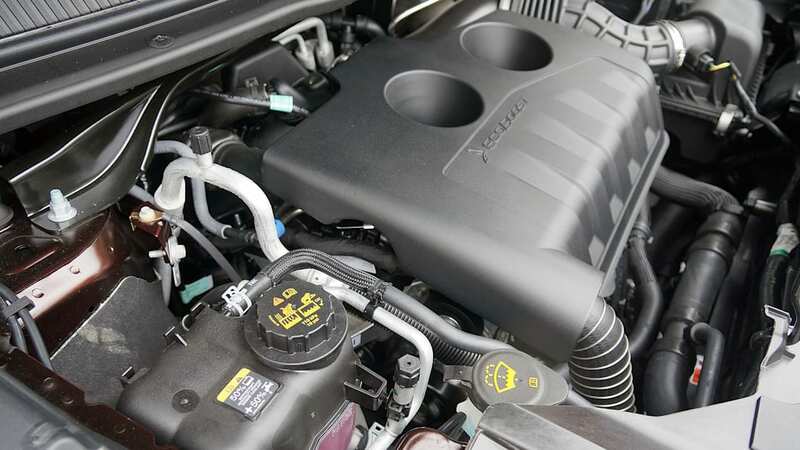 In any case, if you do take the 2.3-liter plunge, you won't feel down on power, and that's the whole idea behind downsized, turbo engines such as this. 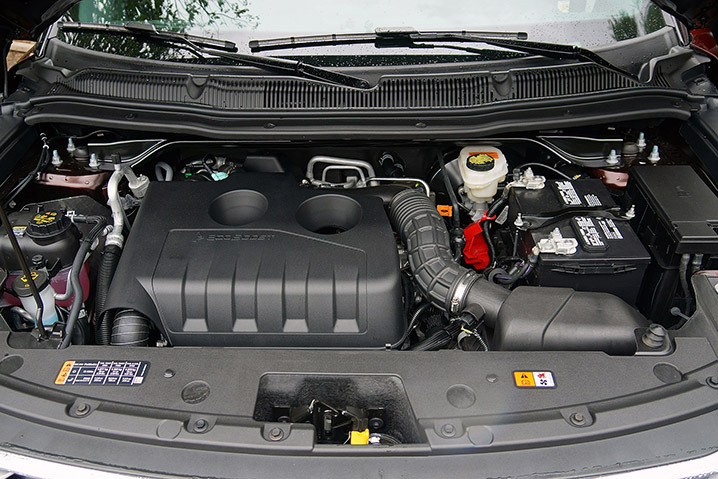 The top engine in the range is a carryover 3.5-liter EcoBoost V6, which, as with the entire Explorer lineup, is mated to a six-speed automatic transmission. 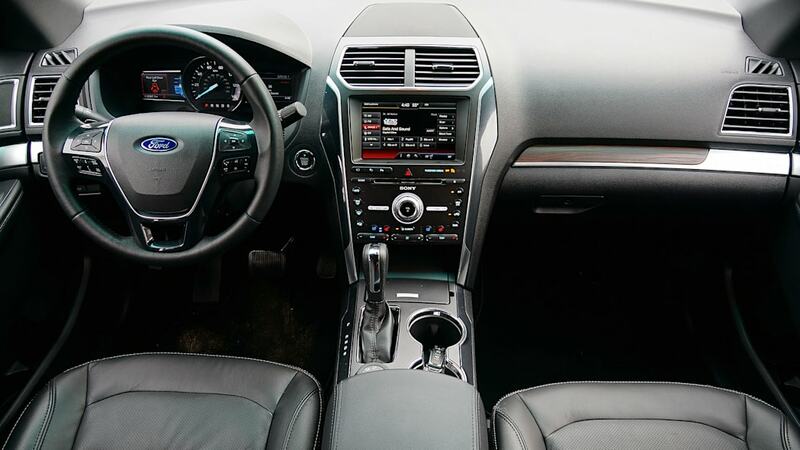 All-wheel drive is standard, and this engine is the lone choice for Sport and Platinum trims. 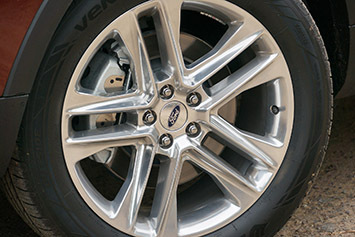 It's rated at 365 hp and 350 lb-ft, and that's more than enough gumption to make the Explorer feel like a hot rod. The penalty, naturally, is economy. 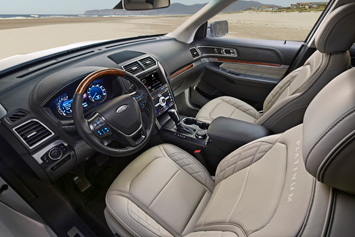 Explorer's equipped with the big EcoBoost are EPA rated at just 16 city, 22 highway. 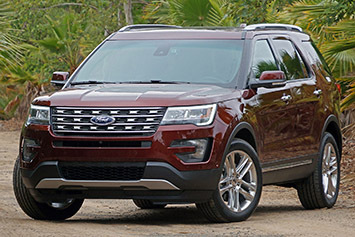 Ford also claims to have made some changes to the Explorer's suspension and steering tuning for 2016, but in the afternoon I spent with the new car I couldn't tell much difference from the last-generation, and I doubt all but the most discerning driver will either. The good news is that the latest Explorer didn't need much updating. The ride and handling compromise was and still is pretty much spot on for a family crossover. Exterior styling tweaks are few but noticeable to those paying attention, with new grilles standing out as the most immediately visible updates. There's a specific face on Platinum models, and the rest of the line, from the XLT to the Limited and Sport, each get different fascias. The Sport model in particular is noteworthy for its lack of chrome, instead boasting a blacked-out motif that stands out next to the XLT, Limited and Platinum. 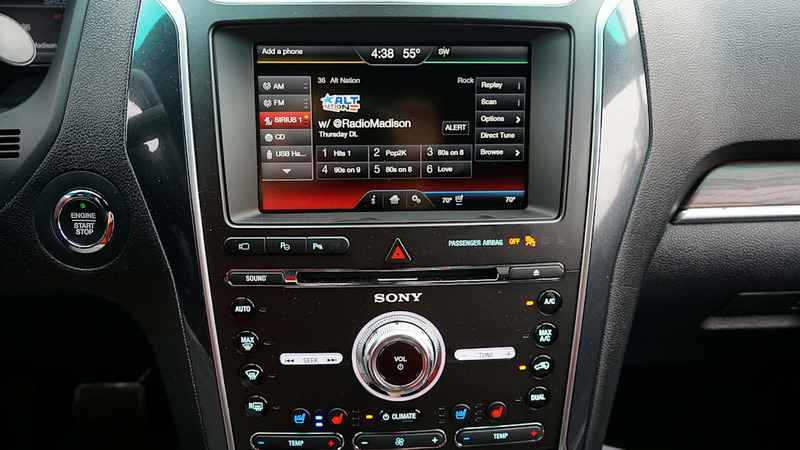 Ford says it's added new rock crawling software recognition to its Terrain Management system, but there weren't any rocks available for us to crawl in San Diego, and I'd be surprised if more than a handful of 2016 Explorers ever see actual rocks large enough to crawl over, anyway. Perhaps a curb-crawling setting would be more appropriate? Those who lust over segment-firsts and class-exclusives may also be keen on the front and rear 180-degree cameras, each with its own tiny little washer. 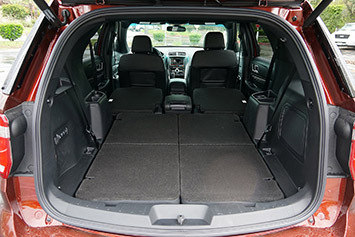 Perhaps more interesting is a new self-parking mode that can automagically back the 2016 Explorer into a perpendicular spot between two other cars. I tested this feature and found it worked quite well. Watch the video below to see for yourself. 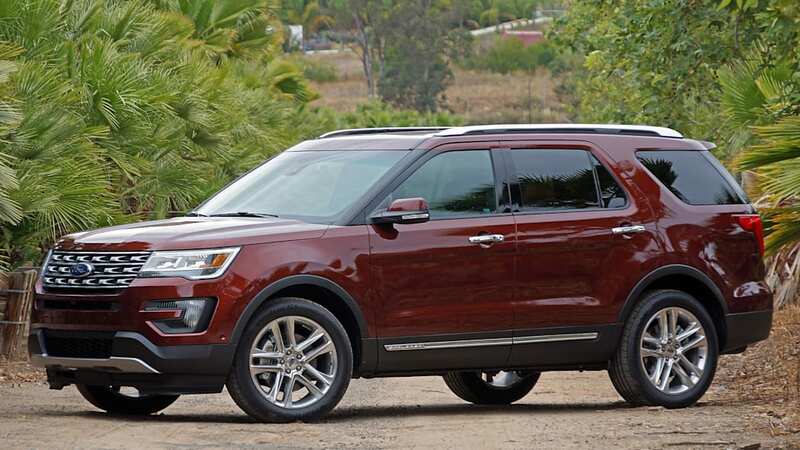 Base 2016 Ford Explorer models start at $31,595 (including $895 for destination). Stepping up to the XLT will cost $34,295, and adding all-wheel drive raises either price by $2,000. 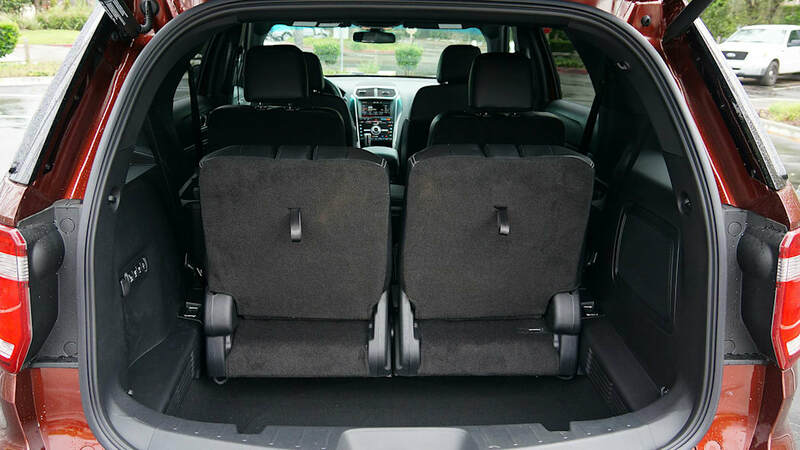 These figures represent pretty good value for those looking for a seven-passenger family vehicle but don't want a minivan. 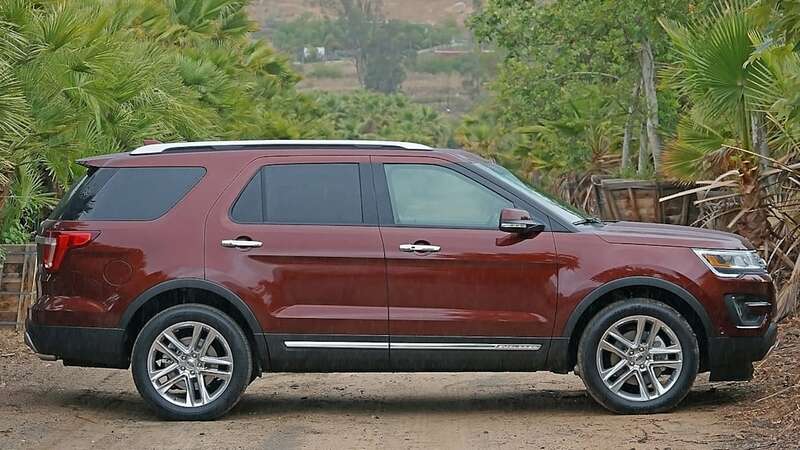 Interestingly, Ford tells us that 43 percent of all Explorer buyers choose either the Limited or Sport trim, which both retail for $44,195 with AWD. There goes the value proposition. 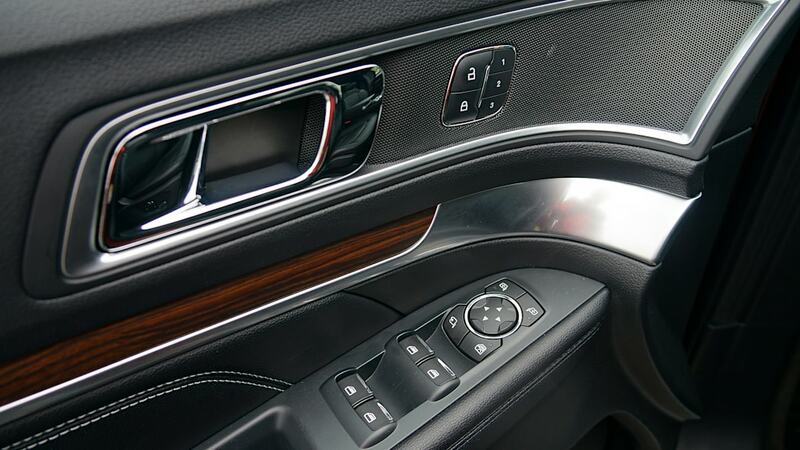 That leads us to the new Platinum trim level. At $52,600, this is one expensive Explorer. 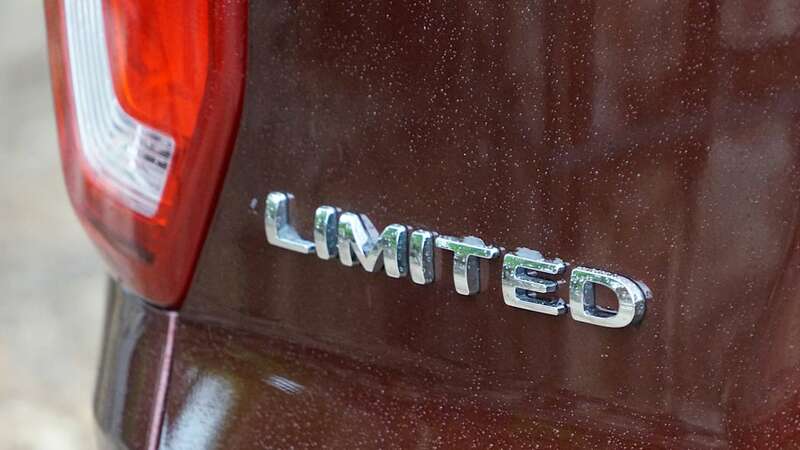 According to Ford, though, it's losing out on high-dollar sales to the likes of GMC's Acadia line and Jeep's Summit trim, both of which can be pushed into the mid-$50K range, and neither of which come from an established luxury nameplate. And while Ford might find similar success in this high-margin zone, I'd counter that the Limited is a better buy assuming its buyer can keep the options sheet in check. 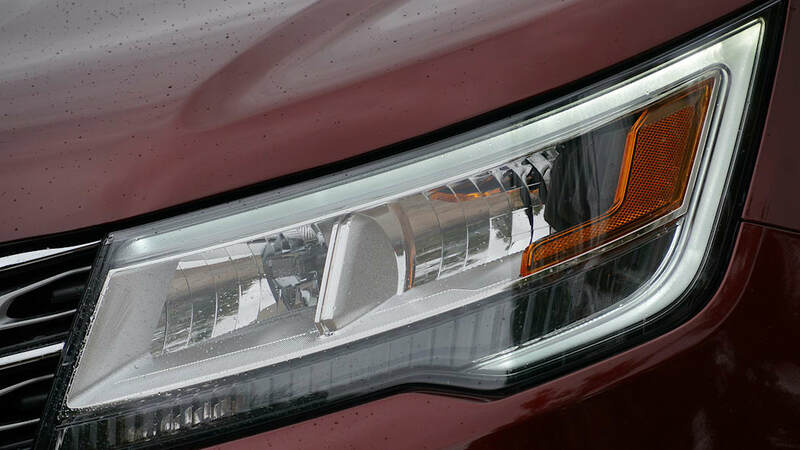 The midsize crossover/SUV market is more competitive than ever before, and the line between truly capable off-road contenders and mere pavement pretenders is getting blurrier with each passing model year. 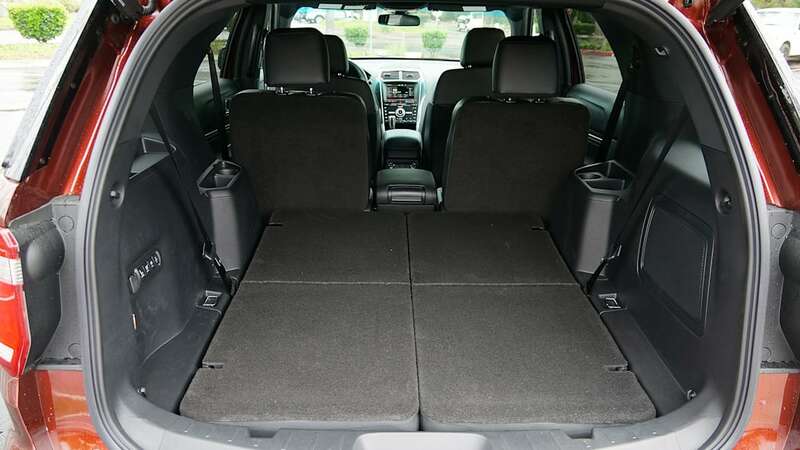 The Jeep Grand Cherokee may be a more authentic SUV, but it doesn't offer the coveted third row of seats. 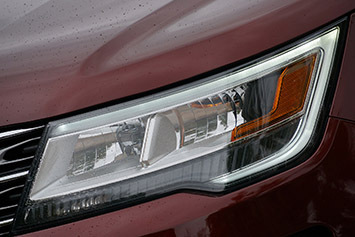 The GMC Acadia/Chevy Traverse and Honda Pilot are contenders, but none of those drive as well as the Explorer, at least until the upcoming new models debut. 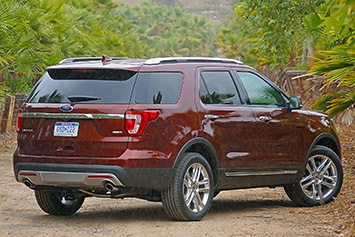 The Dodge Durango and Nissan Pathfinder are perhaps the clearest competitors to the Explorer, but the former doesn't have anything to rival the efficient new 2.3-liter EcoBoost or high-zoot Platinum, and the latter offers just one lone V6 that's roughly equivalent to the base engine in the Explorer. 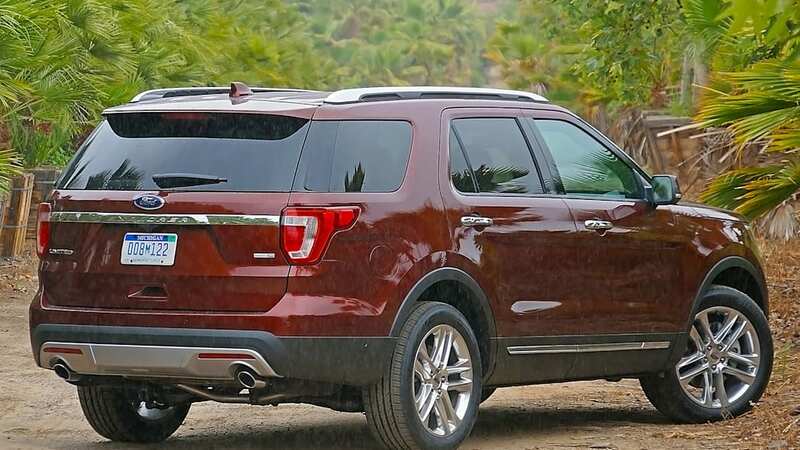 Put another way, Ford has cornered a sweet spot with its Explorer, offering enough SUV-like credibility to lure buyers into the showroom, enough options, creature comforts and smart packaging to keep them there, and enough value to convince them to drive one home. 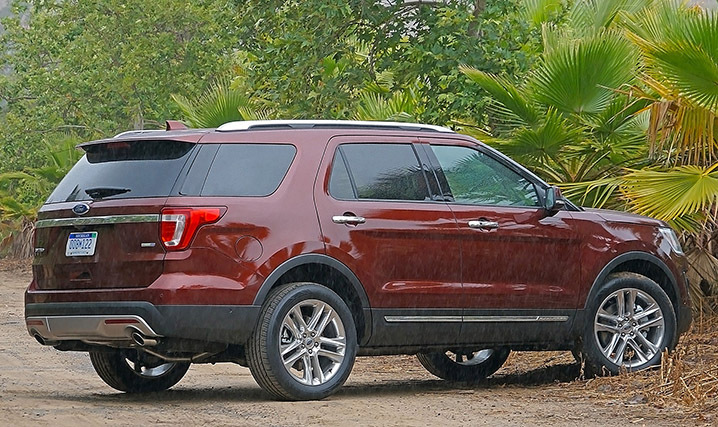 None of that changes for 2016, which means the Explorer is still the best car-like, three-row 'ute on the market.